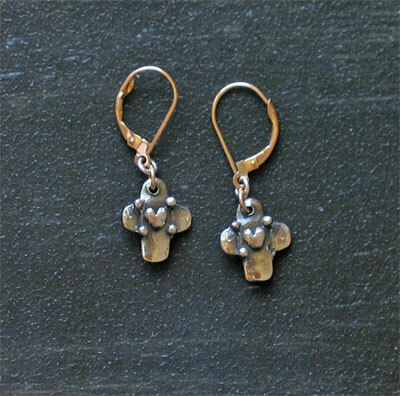 The accompaniment to our Tiny Cross with Heart Necklace... matching earrings. 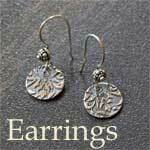 These stunning handcast cross earrings are made from .925 silver. The cross measures 1/2" long and is about 7/8" wide. The crosses are hung on easy close hypoallergenic lever back clasps. The intricate details within the crosses are stunning. The front of the crosses is cast with a very small heart and four silver beads. The artists initial is on the back... a simple A.